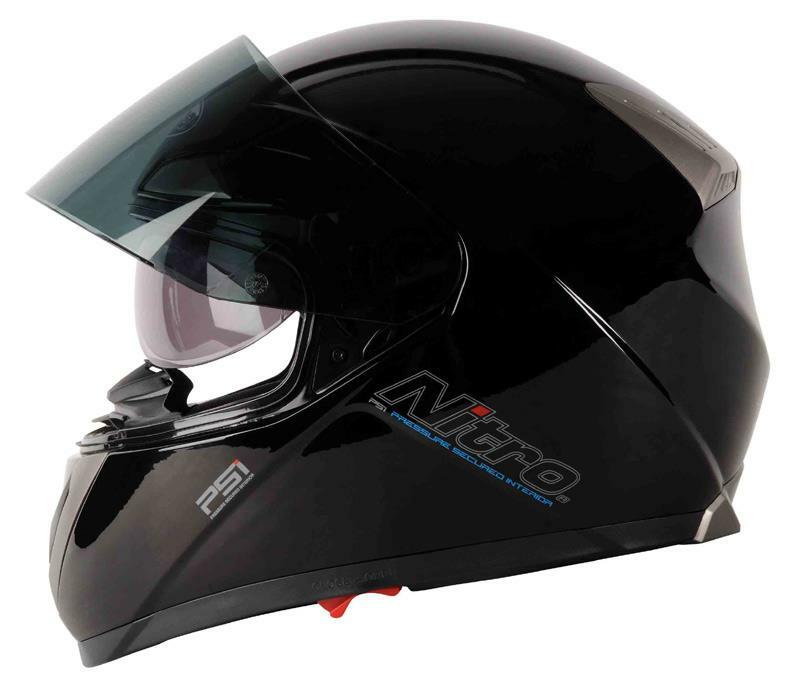 British brand Nitro is the latest to release a helmet with an air pump. The new N-PSi Pump Helmet contains what the firm calls "air pressure assisted helmet fitting technology" which allows the rider to custom fit the helmet by inflating the cheek pads with a small pump in the chin bar of the helmet. Beyond the air-fit technology, the lid also features copious venting, a quick-release visor, a removable and washable lining and micrometric buckle closure system. It costs £109.99.